Type 304 stainless steel, satin finish. 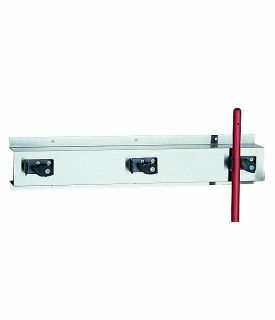 Anti-slip mop holders have spring-loaded rubber cam that grips handles 7/8 inch to 1 1/4 inch diameter. Holds 4 mops 3 1/4 inch from wall. Height 5 inch.